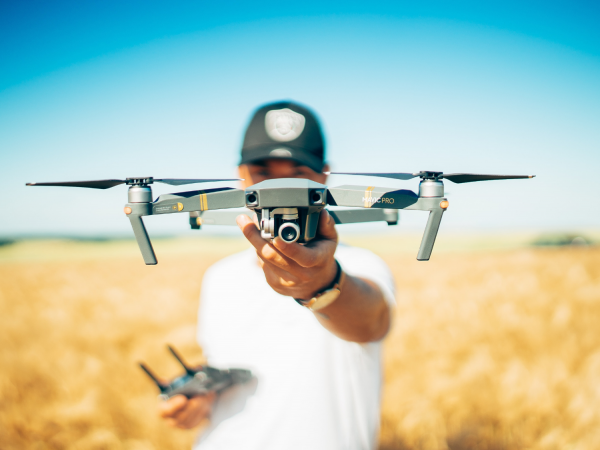 In this course, I plan to educate you on every aspect of how to start your very own drone business from scratch, helping you to pay off your expensive new piece of equipment within the very first month. In case you couldn’t tell, the drone industry is incredibly exciting to me, and I hope the knowledge taught in this course will bring you all of the same success it’s brought me, earning you an incredibly lucrative revenue while doing something you already love doing. Although many courses on Udemy are taught via boring lecture slides and voice-overs, I personally hate learning that way and have found it very hard to focus. I’m not going to just read off some slide while I sit in my underwear; I’m going to speak directly to you throughout the course in order to make it more personal and have some fun, in addition to walking you through various programs, easy PowerPoint slides, and processes through live screen recordings. With nearly 3 hours of engaging, extremely high-quality 1080p HD video content, this course is certain to keep your attention throughout. You should enroll in my course not only because I’ve been running two highly successful drone companies for the past three years, but because I will provide you with all of the necessary tools and every ounce of knowledge for you to do the same. Covering everything from marketing strategy to cinematic flight techniques and camera settings, I’ve made learning the lessons taught in this course as efficient as possible. In addition to that, I will always remain available as a mentor for my students to answer questions and guide you along the way — even after you’ve finished the course. Whether you’re a starting a drone business from scratch with no flight experience or an experienced pilot looking to scale your current business, I can assure you anyone will find value in this course. I’m 100% positive that the cost of the course (and hopefully your drone as well) will be made back within your first month of running your new drone business. If you’re not completely happy with it, let me know and I will personally find a way to ensure I’ve helped you in one way or another. If there’s really nothing I can do to satisfy your expectations, then you’re always welcome to take advantage of Udemy’s money-back guarantee. Thank you, and I hope to be teaching you soon!